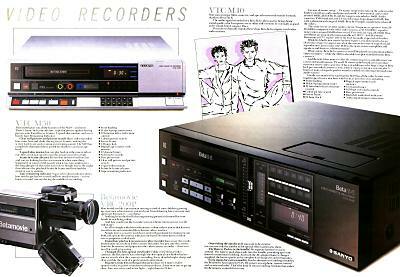 Tuning controls The Sanyo VTC-M40 is a Front loader with Beta Hi-fi Stereo sound, and mono linear soundtrack for compatibility. 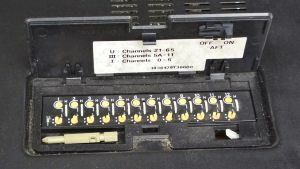 Incorporating manual and automatic record levels controls with V.U meters. 80db dynamic range, a 14 day 8 event timer with "record from now" quick timer. IR. 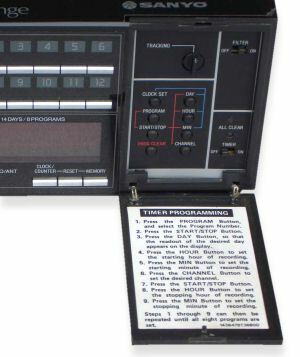 Remote control for deck functions and channel change. All of the above is quite good, even today. But against the machine were: Only basic freeze-frame, no slow-motion or frame advance. 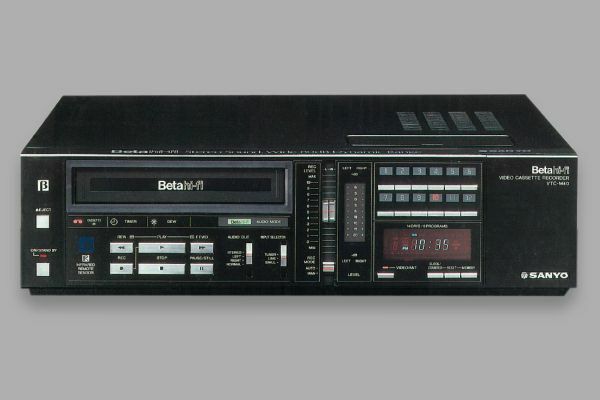 It's also worth mentioning that the PAL UK model did not feature the TV/VCR button. 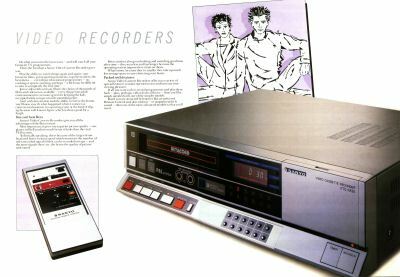 Only the US and Australian versions had this feature due to their different TV transmission systems and requirements. Thanks to Colin McCormick, Noel Higgins and Kevin Lambert for help with information on this model.